You are here: Go to home Breadcrumb Separator News Breadcrumb Separator Active Families - don’t let time be an excuse! Let Blackbrook find the inner child within you once again. All parents struggle to spend quality time with their children for one reason or another. But when you do get those precious moments come down to Blackbrook and participate in some of our family activities so that you guys can connect together. 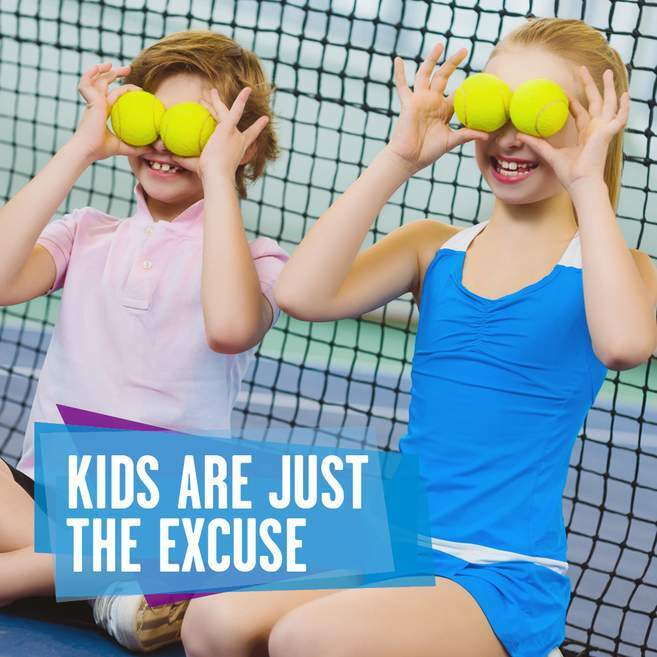 Whether it be a splash in our pool on a Saturday afternoon aqua splash session or hiring a Tennis court indoor or outdoor to hit a few balls together make the most of the time you have. More importantly make it fun. If you have toddlers we have something for them too, enjoy watching them explore and have fun in our Luna Land soft play zone or take part in our coached tennis tots sessions. You could take these guys for a dip in our safe teaching pool and help them build water confidence together. If you prefer some more structure then bring them to our teacher led parent and baby or toddler swim school lessons. If you prefer not to get wet then bring your toddlers to mini madness on a Monday morning for some soft play and fun games. For any further information please contact the centre, and we hope to welcome you soon to Blackbrook.